When you look at the Eclipse 550 interior, you will see that there are some changes in comparison to the original Eclipse 500 jets. As explained here on the site , the Eclipse 550 is actually an Eclipse 500 that has been redesigned by Eclipse Aerospace. The Eclipse 550 has a total of five seats with two cockpit seats and 3 seat located in the main cabin (behind the flight deck seats). In the Eclipse 500 there was an option for a sixth seat, however we can not confirm if this is available from Eclipse Aerospace on the Eclipse 550. The seats have been redesigned from the original Eclipse 500 seats and are bigger. The cushioning of the seats looks to be larger, then the original Eclipse 500 interior. The seats in the cabin are reclining and have stow-able tray tables. More electricity outlet plugs have been added to the cabin of the Eclipse 550 aircraft. There is no lavatory or toilet on-board the Eclipse 550.  Diablo - a dark tan color option.  Winfield - Dark grey color.  Greystone - a light grey color interior (can look like a light cream color too) - pictured below. Sahara - a brighter light yellow color. Above Color Swatches Names in order from right to left: Diablo, Winfield, Greystone, Sahara, Canyon. The dimensions of the cabin remain the same as the Eclipse 500. Interior Length: 12 feet 4 inches (148 inches or 376 Centimeters ). Interior Height: 4 feet 2 inches (50 inches or 127 centimeters). Interior Width: 4 feet 8 inches (56 inches or 142 centimeters). 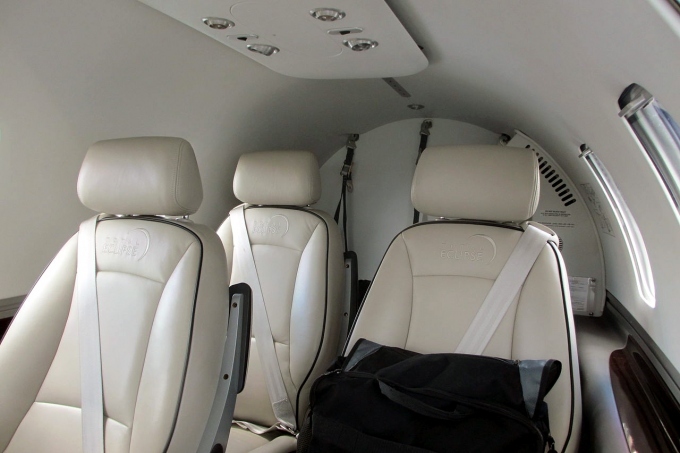 A video of the interior of the Eclipse 550 is located on our Eclipse 550 video page. It is the fifth video on the playlist. Above photo of the Eclipse 550 Interior (actually a photo of the Total Eclipse that was showcased as the Eclipse 550) Photo by Jetrequest.com on Wikimedia Commons. Photo (only) released under a Creative Commons License.